Different types of printing materials all have the same ultimate goal: sharing information with others. Whether you’re printing pamphlets for your non-profit, printing business cards for your company, or printing a banner for your college event, you want your paper materials to be accurate and convincing. To make any kind of accurate material, you’ll need to break out your writing and proofreading skills. If you don’t comb your material with an editor’s careful eye, you could end up leaving a mistake in your printed material that gets shared with your entire audience. Small typos may seem unimportant, but one wrong digit in a phone number could send hundreds of customers to the wrong phone. Speaking your writing out loud can help you “hear” mistakes you might miss with your eyes. If you notice a paragraph or title that causes you to stumble, read it again because there might be a grammar error. Even if the writing is technically correct, a place that causes readers to blunder might simply be an awkward spot that could be rephrased for clarity. Don’t write and edit in the same work session. Taking time to “forget” some of what you’ve written can help you notice errors when you eventually return to the task. While a break of a half an hour can be helpful, waiting overnight allows you to edit with fresh eyes. If you’ve only looked at a document or poster using your word processor or page designer, try printing a small proof or using several types of printing to see your document in different styles. Looking at the document on printing paper helps you get an idea of what the final product will look like. This strategy also gives poster designers an idea of spacing adjustments and other cosmetic fixes that might be needed. Adjusting the font or the size of your text can refresh the way you read the document as well. Expand the text to 125 or 200% of its original size to help your screen-tired eyes focus, and alter a decorative font to something more readable to better spot small errors. Even if you read a document hundreds of times, you just might not spot some small typos. After all, everyone writes differently and is prone to their own errors. Asking someone for proofreading help is the best way to understand where your document could use a little work. If you’re using a professional printing company, ask if they offer editorial services. Half of all the customers who enter a business did so because of the company’s effective signage. Evidently, good printed materials are essential to any project or company success. 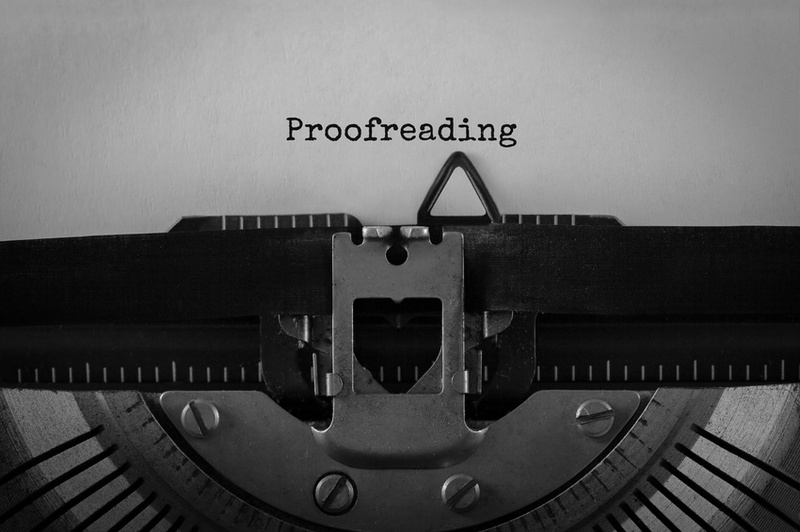 For a more effective document, use these proofreading tips to prevent different types of printing mistakes before they happen.